Excellent! Michai was full of information about Bangkok, and took us all over the city using a variety of public transportation. We ate street food, explored Chinatown, and had a drink at a bar with a stunning view of the Chao Phraya River. We enjoyed the information and the company - Michai was a lot of fun to hang out with for an evening. Michai met six of us at our hotel and, although we were almost an hour late, he happily adjusted. His English is excellent and we learned a great deal about nightlife in Bangkok. Using public transportation (e.g. tuks tuks, open air taxi), M took us to see Bangkok at night (e.g. the night market). What an experience! The sights, sounds, smells, foods, shops, drinks...endless delights. M is a great guide -- professional, intelligent, personable, and happy to answer any question. Truly a wonderful time! Michai was a highlight of our Bangkok visit. He speaks close to perfect English, he's bright, witty and knowledgeable, and showed us sights, sounds and tastes of Bangkok that cannot be found in any guidebook. Michai took time to get to know each member of our family (five total) and ensured he found things to interest every one of us individually. This really made a difference! We would definitely hire him again and loved all the personalized attention. Michai--if you read this, THANK YOU!!!! Just returned from the Local Canal Cruise with Michai. My wife and I loved this tour! !- Michai was a wonderful, personable, humorous and knowledgeable guide ( speaking excellent English) who took us out of Bangkok to see the smaller but more authentic Tha Kha floating market, followed by a visit to the Mae Klong railway market. We also rode the long tail boat into the Amphawa canal for a tasty lunch at a canal-side cafe. The tour exceeded our expectations--a great way to spend a day outside Bangkok! We thoroughly enjoyed our tour with Michai. We travelled as a couple and would never have been able to this tour in a bigger group or on our own. The lights of Chinatown were a highlight. I feel this tour gave us an insight into the way of life of the locals. Thanks Michai for an enjoyable evening. We were really able to see the real Bangkok by night. We took out two teenage daughters. Ate at a local place, went to flower market, took a public bus and tuktuk. Went to the temple at night. Our pictures are amazing. Cant say enough good things about the guide. Super kind and knowledgable. Michai was an amazing tour guide. He is extremely knowledgable of the city and took us on an off the beaten path tour of Bangkok at night. It was exactly what we were looking for. We were able to taste some amazing food that we normally would not have known to try! It was a pleasure exploring the city with him. An excellent evening with a great guide who introduced us to the real Bangkok at night from Chinatown to Old Town with a secret gem thrown in for good measure. Our tour to and of the Ampawa floating market was a pleasant stroll later in the afternoon and early evening. We avoided the daytime HEAT for the most part. The parade of long-tail boats was spectacular. Even as Americans, we would rate the activity level as pretty light. Thank you Michai for a fantastic afternoon/evening at the floating markets. Everything was just perfect. The children really enjoyed the train market, to see the train come through so closely to the stalls was nothing like they had experienced. Then the private boat to the floating markets, with a highlight of chicken and spicy papaya salad as well as the many snacks along the way. Would definitely recommend this tour for those that want to see a different side to Bangkok. Incredible experience by a wonderful person! We chose Michai's tour because we wanted to experience a local floating market and not a big tourist one selling souvenirs and he really delivered. His expert guidance also got us the best position at the train market and he also threw in some unexpected (but welcome stuff) - a short Thai massage, making of coconut sugar, some street food etc. Michai speaks perfect English so is easily understood and he clearly knows how to get the best experience out of any situation. Thank You Michai! Michai has a very good relaxed evening tour and takes you to places that are not on the regular tourist spots. Using different transport modes like the locals do, make it interesting, Especially using the canal boats takes a bit of adventure at first! Nice is also that he will respond to what your interests are. In my case, bringing me to a Chinese mansion, that he usually does not visit... . It's like visiting Bangkok with a friend. Highly recommended. Michai was fluent and knowledgable and we enjoyed his commentary. The transportation was good, and we had a lovely lunch. Good trip. Thanks. Amazing Thailand. Small but authentic floating market and coconut and salt farms. Very much worth the hour long drive. This tour coupled with the train market where the train squeezes through a moving market is amazing. Perfect for a half day tour! Great food destinations along the way. Michai is an authentic Thai guide. By that I mean that he shows you Thailand the way it is. Really enjoyed this tour, and going around Bangkok using various public transport. We rode the BTS, a canal boat, a few tuk-tuks, and of course walked. His itinerary is simple but an eye opener. Michai is open minded and will adjust to your taste and interests. Excellent and laidback tour with Michai striking the perfect balance between being a guide and a friend to hang out with. 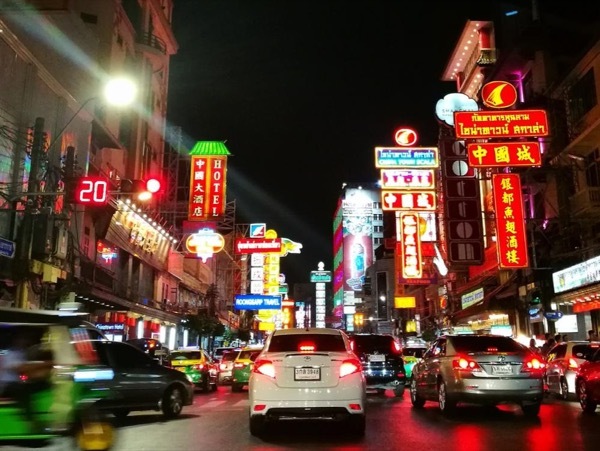 All the lights of new Bangkok, drinks at Cloud 47 and street food dinner in Chinatown. Seamless. Ive toured the world and love seeing stuff off the beaten tourist paths and M provided us with one of the best tours I've ever been on. Absolutely fun traveling on the different types of transport with the locals all over Bangkok and trying different foods. Michai gives you a locals taste of Thailand that most don't see. He has a wonderful knowledge of Thailand and great English. I'd highly recommend booking a tour with M.
My family had a fabulous time on Michal's tour. We saw the train market which was fascinating and then Michai took us by boat to the floating market, where we had a delicious dinner. Michai keeps everything interesting by providing background information and humorous stories. We especially appreciated how he kept our teenager engaged the entire time! Michai knows what people like and has plenty of knowledge to share about the Thai culture. Thanks for a great tour! Michai was excellent as a guide for an evening tour of Chinatown and surrounding area. Great company and we both enjoyed the meal together at T&K Seafood. Took me down some areas and lane-ways that I would never have tried on my own and showed sights from points like the top floor bar area of one of the budget hotels. Good command of English. Will definitely use Michai again when visiting Bangkok in future. We have fun and adventure with Michai who is a great guide with his knowledge and enthusiasm. Travelling with him is more like going out with a friend rather than a guide. He takes us to places that we really enjoy mingling with the locals at the amazing markets eating our way through the food stalls. This was the best experience ever. We enjoyed every minute with Michai. 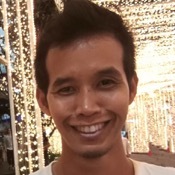 We would recommend him if you want to see how people in Bangkok enjoy their free time. Thanks for all your info and insight Michai. Your the best. Loved this tour!!!!! If anyone is looking for something special to do in the evening in Bangkok I would highly recommend this tour. It's only possible on the weekends but boy is it worth it!!!!! And Michai is a treat to go with!!!! A very good guide who went above and beyond!! Thanks Michai!! The guide really knew his way around Bangkok. We were able to take public transportation and save money. He took us places that really made our first trip to Thailand and wonderful experience. We had a blast. Our tour guide knew his stuff. Made it easy to get around. Taught us how to use Sky train and water taxi. You can't get around on your own this fast and ease. A must for first timers. Michai, provided us a great night tour of Bangkok. Great street food sampling, canal boat taxi, and other forms of local transport. Visits to temples at night with no one around, night flower market and China Town were key highlights. For a nice night our of Bangkok, book Michai's "Illuminated Bangkok." I loved the illuminated Bangkok tour! I was traveling by myself and wanted so much to be out and about in the city at night exploring the nooks and crannies, but didn't know how to do that alone. Michai easily made that happen. He taught me how to eat my favorite dish: Pad Thai. We explored Chinatown and saw beautifully lit shrines, city streets, and canals. He is an excellent photographer and he'll show you how to get the best shot. MIchai made my night in Bangkok very special, indeed! Never disappointed with tours by locals. We have great time with Michai. Definitly we recommend this tour. We ate the best pad thai. Enjoy the tuktuk rides, the floating market. The rota palace. The padres thai. The food over the river on the speed boat.thank you michai. Michai was fantastic! He took us away from the tourist traps of Bangkok and showed us the wonders of old town. We saw exquisite Buddhist temples with not a single other tourist present, markets where real Thai people buy their food and flowers, and even the first Chinese temple. Then we ate some delicious northern Thai cuisine where the celebrities and royals go. We even got to visit a Muay Thai boxing gym and see the boys train. Truly a once in a life time, unforgettable experience. We had a great time! We are 3 women, mom and her 2 adult daughters in their early twenties. Michai adjusted our tour a bit since we had already visited one of the places. We completely enjoyed walking side streets and getting local perspective and insights of Thai culture. Doing at your in evening was so enjoyable given the heat was more bearable and the crowds diminished. Mr. M is an outstanding guide. The Canal cruise tour was one of the best I have ever taken with TBL. Mr. M, with his endearing glass jar filled with coins, was a pleasure to spend the day touring with - he immediately feels like a friend. Mr. M goes the extra mile and keeps his eyes open. For example, While we were walking, he stopped, listened and then led me to a tent where a Thai traditional dance group was having a dress rehearsal - it was an unexpected highlight of the day! Highly recommend him! Our bike tour remains a highlight of my entire global travels. We went to so many cool places thanks to the ease of getting around. Michai was super flexible in helping me spend the time interacting with locals as I was traveling on a research project type thing. Just an overall very knowledgeable, adaptable, friendly guy. We finished the tour and even met up with a friend for dinner. This is why I love tours by locals - you get awesome guides, but overall just good people. Book him - and go by bike!! My husband and I traveled to Bangkok in March of this year. Michai was our AMAZING tour guide. The wonderful thing about Michai was that we told him what we liked in our initial email and he handled everything. When we got there he told us where we would go and what we would do. He planned everything for us and did an AWSOME job. My husband and I are foodies and so is Michai so, he took us off the beaten path and where the local goes. It was AMAZING! I highly recommend Michai as a great Bangkok guide! M helped us to tour like locals. He managed to cart us around very efficiently through both traditional sites (the tour of Chinatown was a highlight) and current hot-spots, while maintaining an ongoing conversation about the current Bangkok scene. M's touring style exposes tourists to a wide range of current scenes that coexist simultaneously in Bangkok. This guide and this tour are highly recommended if you want to really experience the city.